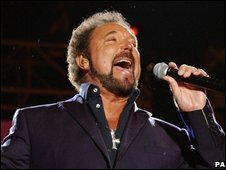 For his first solo album of new material in 15 years, Sir Tom Jones has turned his hand to songwriting for the first time. And he says the retro feel of Amy Winehouse's Back To Black has encouraged him to revisit the classic sound of the 1960s on the album, 24 Hours. Bono has also contributed a song, while Sir Tom has teamed up with producers Future Cut, whose past credits include Lily Allen, Dizzee Rascal and Kate Nash. What difference has it made being so involved in the songwriting? I think it will make a big difference because the songs come from me, rather than somebody else writing them and then me trying to put them into my own style. When I started this CD off, songs were coming which were not very good, I didn't think. So then it was suggested, well, why don't you do it yourself? So that's what happened. I needed a songwriter to put them into words, but the ideas came from me. Are you trying to recapture a classic sound? I liked what I did on Decca in the '60s and I wanted to get that same feeling again, sound-wise especially. There's a retro sound, but I feel that it's still modern though. You know it's not an old '60s record, but the feel of it is. Is that style of music ripe for a return? Yeah I think so, with the Amy Winehouse record. I've been wanting to do this for quite some time. And then I saw the video for the first [Amy Winehouse] track, I thought 'that's good'. So I got the CD and listened to it, and I thought 'yes it can be done'. It's great to see somebody like Amy Winehouse doing it with those arrangements and with the sound. It's refreshing and it gives you confidence to go ahead and do it. It's working. What is it like occupying the position you do with so many young artists being influenced by you? It feels fantastic, to have young bands come up and say [things] about songs that I've done in the past and wanting to work with me. That's a great feeling when you've been in the business as long as I have. I have affected people, and musicians do like what I do, as well as the public. It gives you more confidence that you're doing something right and that you want to do more of it. Is it right that you're working with Elbow? I don't know whether there's anything in the works but I would like to. I like Elbow. I think they make very interesting records, and I think the singer's really good. So hopefully. How did you hook up with Future Cut? We heard that they would like to work with me, so they came to LA with these tracks that they'd already laid down that they thought I would like, and they were right. Future Cut are young producers and I like that. Some things you try to record with people you worked with 30 years ago and it doesn't fly well any more, I don't think. You have recorded with so many people - is there anyone left you would like to work with? Yes, there's a lot of people. It all depends what the material is. That's what governs the record. Doing a duet with somebody - sometimes it works, sometimes it doesn't. That's not the point. It's what are we going to do, what's the song? When I asked Bono to write a song for me, I was waiting to see what the song would be like, and as it happened, it was a great song. The Edge played on it and it worked. But sometimes things don't. What is the secret of successfully reinventing yourself? I don't think music has changed that much since the '50s, when rock 'n' roll kicked in. Sounds have changed. I've always liked to try new things - I've never been satisfied to rest on my laurels. I've always wanted to move on. Not to forget what I've done, but I'm always adding new things, especially to my live show. I like not to be pigeonholed. 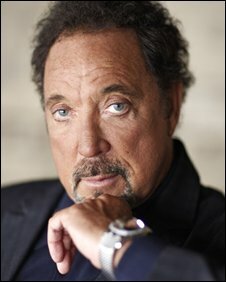 There are lots of stage musicals about pop stars - has anyone ever suggested a Tom Jones musical? No, but somebody asked that if something was done on your life, who would you like to play you? At the time, I thought Robbie Williams would be good to play me because he's a cheeky chappie and so was I when I was his age. I'm not a big musical fan myself. But then again, you never know. I'd have to know that the songs were right and it was an edgy thing rather than being flowery. I'm making music most of the time, so I don't take a lot of time off. And I don't have hobbies. Singing is my hobby. I'm always involved in some way with music - I'm either listening to it, or creating it, or doing live shows. I don't have anything that would take its place. Some entertainers play golf, or something else. But I don't have that. 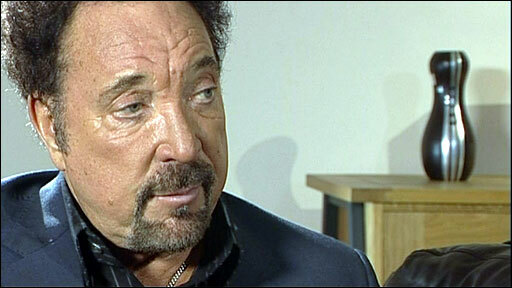 Sir Tom Jones was talking to the BBC's Lizo Mzimba and Ian Youngs.